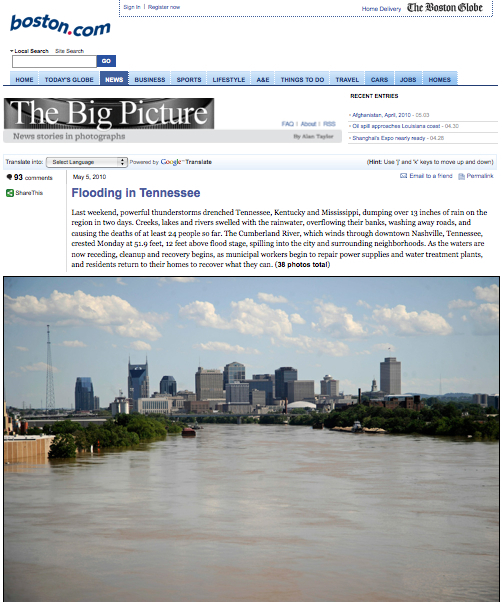 Boston.com has a very powerful selection of more than 30 photographs on its ‘Big Picture’ feature that show the devastation caused by floods in Tennessee. The series of images convey the destruction and loss clearer than most articles or videos could. Take time to look through them if you can. 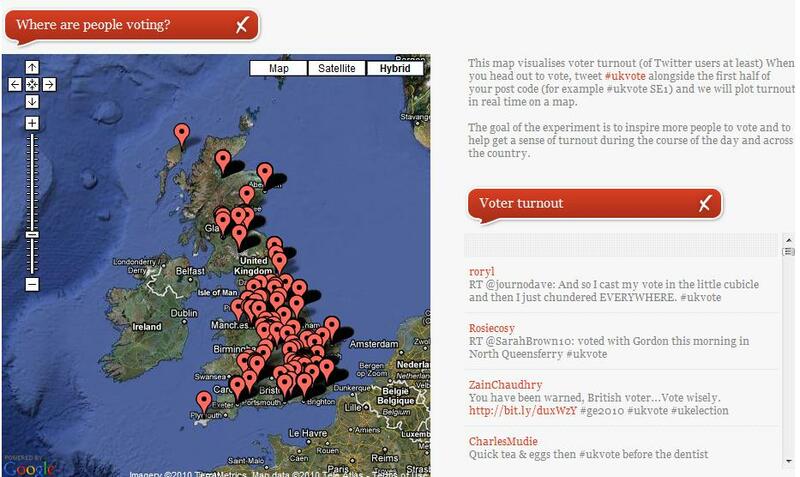 Some Irish users could complain about the time it takes to load these large images. But bear in mind most people in the US have faster connections. 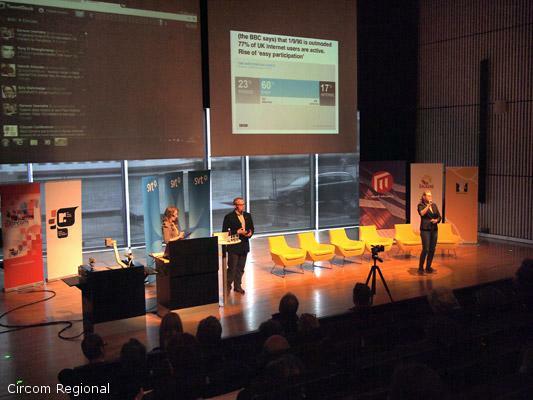 (Must return to examine how slow connections could be holding back certain forms of storytelling in Ireland). 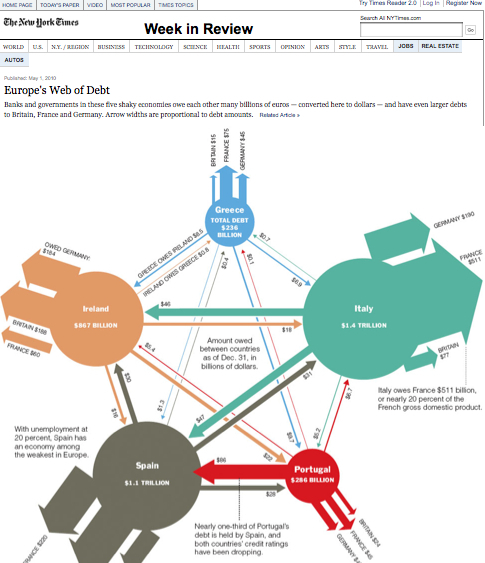 The New York Times featured a great infographic showing the inter-linking of European debt. To explain this in written form would have been taxing for the reader but this, quite simple, graphic tells the story so well. 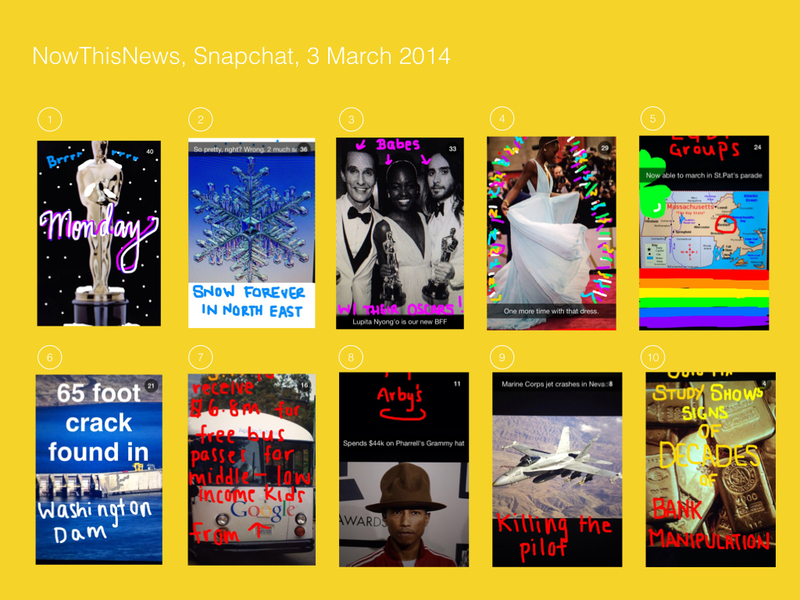 Have you seen any good storytelling this week?